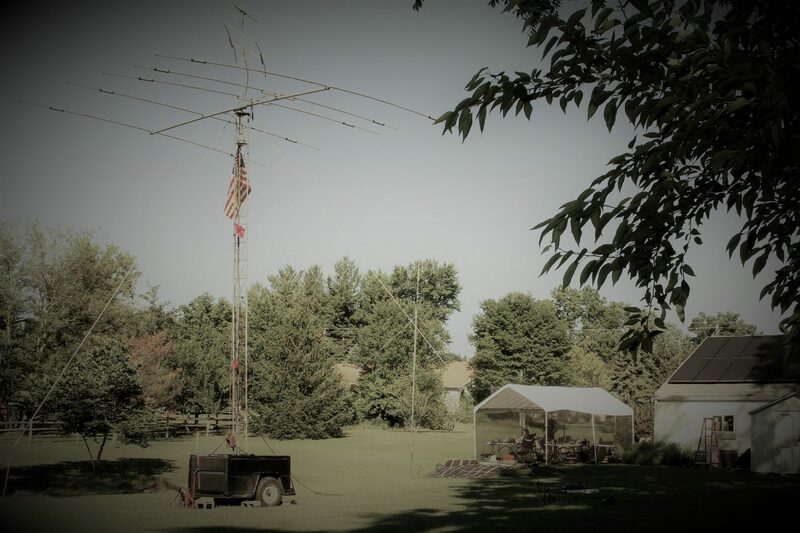 The Ohio Valley Experimenters Club, or OVEC, is a club focusing primarily on radio, antenna, and RF experimentation. We, as members of OVEC, aren’t happy with an antenna setup just because we finished building it, it can always be better and that’s where experimentation comes into play! 2016 has been a busy year for the KD8LBS group. It’s members decided to kick it into gear and make KD8POUNDS great. With the addition of new members and a revitilized spirit of experimentation, the club has been working around the clock to get everything ready for this year’s field day, and beyond. In addition, OVEC is a group of amateur radio enthusiasts dedicated to advancing operational techniques and furthering the technical aspects of the hobby. OVEC is located in the Greater Cincinnati, OH USA area. -Encourage the development of technical operating abilities. -Foster the advancement of the art and science of amateur radio. -Provide low cost or free amateur license testing. -Create an environment for members and non-members to exchange expertise, tips, and advice. -Construct and maintain repeaters in infrequently used bands to encourage more widespread use (220 MHz, 900 MHz, etc.) and provide low cost equipment to members to this end.